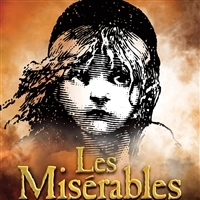 Cameron Mackintosh's legendary production of Boublil and Schönberg's LES MISÉRABLES is a global stage sensation, seen by 70 million people in 52 countries and 22 languages around the world. Please note: The Original Production will run until 13th July before the Queen's Theatre closes for refurbishment. The All-Star Staged Concert will run at the Gielgud Theatre 10th August  30th November. The Queen's Theatre will reopen on 18th December with the acclaimed New Production.